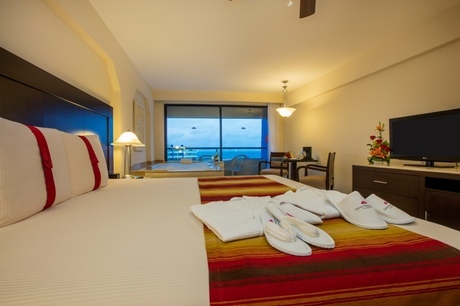 Crown Paradise Club Cancun offers accommodation with rooms specially designed for families. These “Family Rooms” have a king size bed and an adjoining area with a bunk bed for 3 children and its own television. Kids Paradise Club offers activities for children from 4 to 12 years of age, and the Baby Paradise Club for little ones from 18 months to 3 years, where the specialized staff will give them the service they deserve. One of the main attractions is the fabulous Aquapark, with a pirate ship, water slides and a castle – a fantasy world for the kids. There is a wide range of activities in the pools and on the beach, a great selection of specialty restaurants with gourmet cuisine, nightly shows and even the renowned drinks menu for the kids. 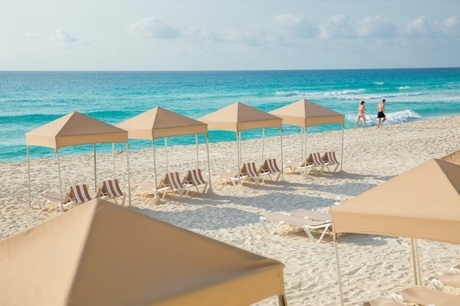 This has all been designed to ensure you have the best vacation possible in Cancun. Enjoy a wide variety of restaurants and gastronomy in Cancún without even having to leave the hotel. In Crown Paradise Club All Inclusive Resort in Cancún, there’s no need to go out to eat because they offer an incredible variety of restaurants, from haute cuisine to the delicious snacks around the pool. If you or your family feel like eating oriental, Mexican, French, Italian or seafood, you can find all types of food to please your palate every day while on vacations. They have 5 specialty restaurants with Italian, French, Mexican, seafood and fine cuts, all a la carte and only for dinner; they also offer 2 buffet restaurants with international and oriental cuisine; 3 snack bars and the 6 bars with domestic and imported drinks. The all inclusive hotel in Cancun is one of the most complete in its category, with many activities for all the family. Have fun and play at night on our two floodlit tennis courts and our multi-purpose court for basketball and football, or our beach volleyball court. In the pool area you can enjoy water polo, aqua aerobics, and a scuba diving demonstration: there is also a gymnasium, ping pong tables, aerobics classes, mini golf, a water park for kids and another one for the family, the Collage games room and many more activities. You can enjoy pedal boats, yachts and kayaks at the Aquaworld marina located 5 minutes from the hotel. Please note effective November 6th to November 16th the Family Water Slide Park in the Crown Paradise Club Cancun will be closed due to renovations. Also, from September 11 to November 18 the property will start their annual Preventive Maintenance Program in the restaurants and water parks. Maintenance in Kids Club and Babies Club: The safety of all children are very important to Crown Paradise, which is why they will be carrying out important work from October 9-21, and the Collage area and Jetix Club will be closed from November 13 - 18. The property has arranged for the activities program to be held in the Family Water Park and other areas that will be used depending on the activities that are programmed, so that the kids can continue to enjoy the contests, movies and handcraft classes they normally offer them. In the case of Baby Paradise, renovations will be minor and will take place outside operating hours. 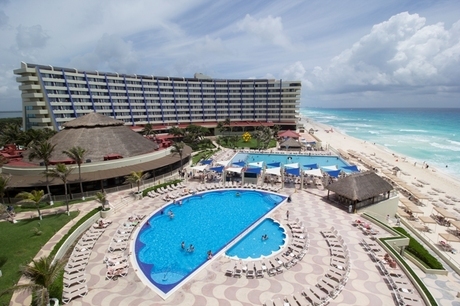 Crown Paradise Club All Inclusive Resort is the perfect Cancun lodging choice for your trip to Mexico. 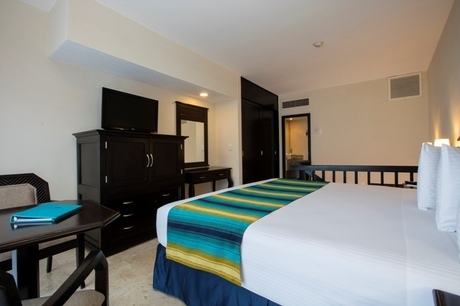 With numerous amenities for guests such as room service, car rental, children's play area, you will wake up at Crown Paradise Club All Inclusive Resort feeling invigorated every day for your time in Cancun. Don’t let this amazing reservation opportunity pass you by, book your stay at Crown Paradise Club All Inclusive Resort today to make the most of your time in Cancun, Mexico.